A storyboard is an important asset when it comes to putting all your creative thoughts and idea in a systematic manner. People who are involved in any sort of creative projects understand the importance of storyboard. Usually, a designer, a photographer, or a writer use storyboard templates to organize all their innovative ideas in an orderly manner. 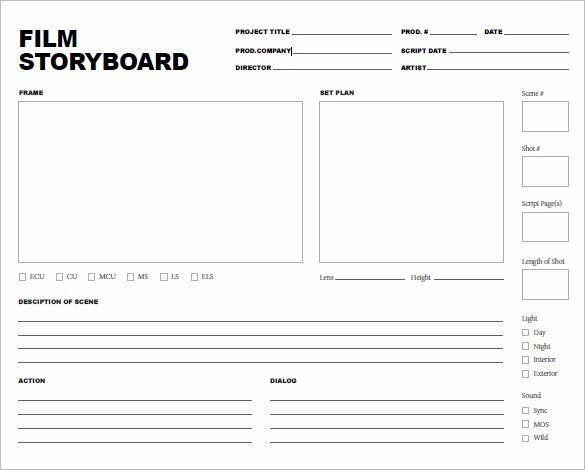 Having a Storyboard template plays an important role when it comes to creating a professional looking storyboard easily without spending much time. 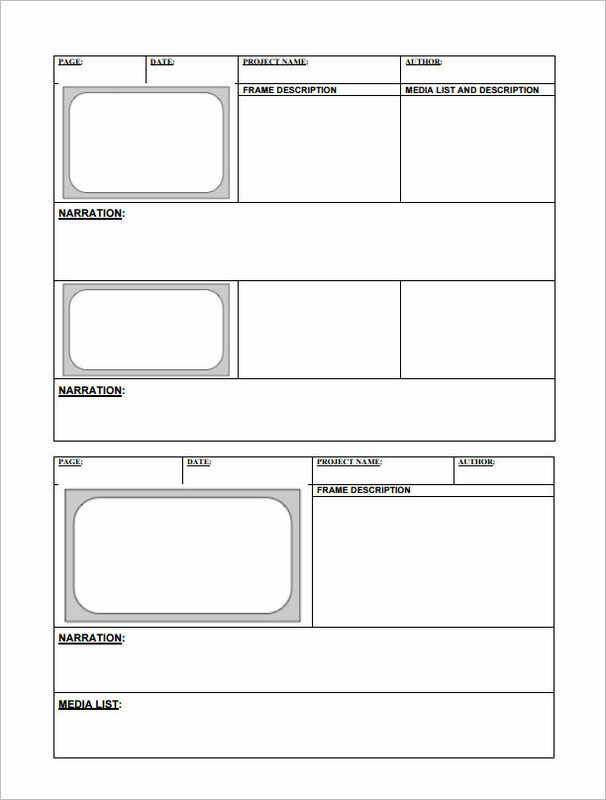 Why would you want to create a storyboard from scratch when you have templates available for free download. Feel free to use and download these templates as per your convenience. A storyboard is generally a written or graphical representation of how a particular video will unfold from shot to shot. 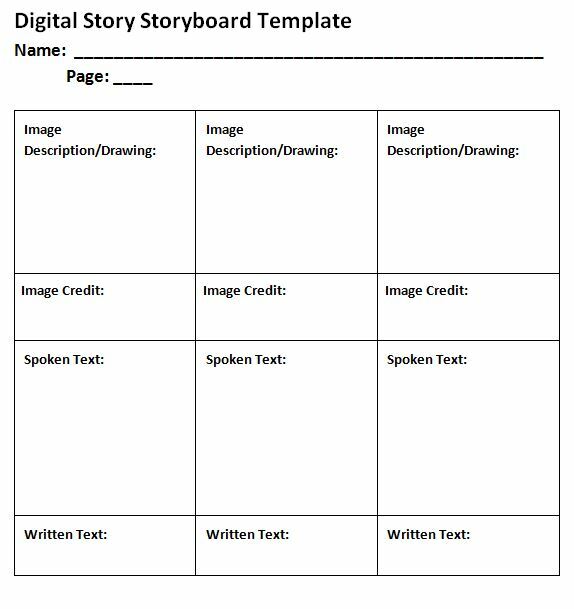 If you’re looking to create a storyboard then it is advised to check out the templates shared below. After downloading a template, one can easily add visuals, or any other graphical or written material to make a proper storyboard as per the requirement. Proper spacing or blank spaces are provided where users can add their content. In case, if you don’t know or struggling in making a storyboard then simply opt for the storyboard templates as this will make the entire process to be easy and convenient for you. People use these templates to make short stories, animation, advertisements, documentaries etc. Use these templates to create creative projects and improve your skills. 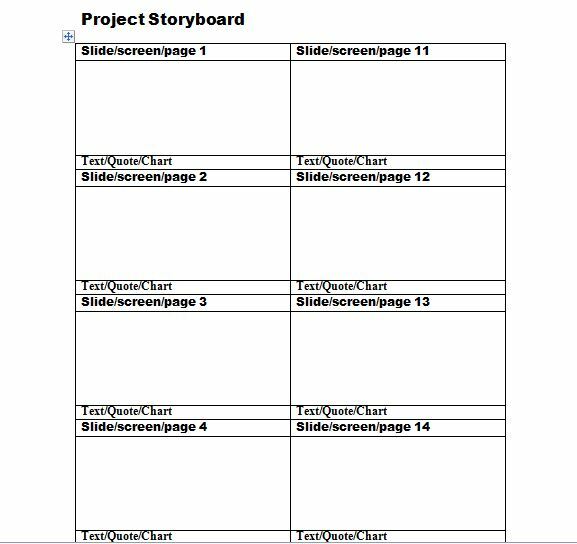 How are Storyboard Templates Useful? 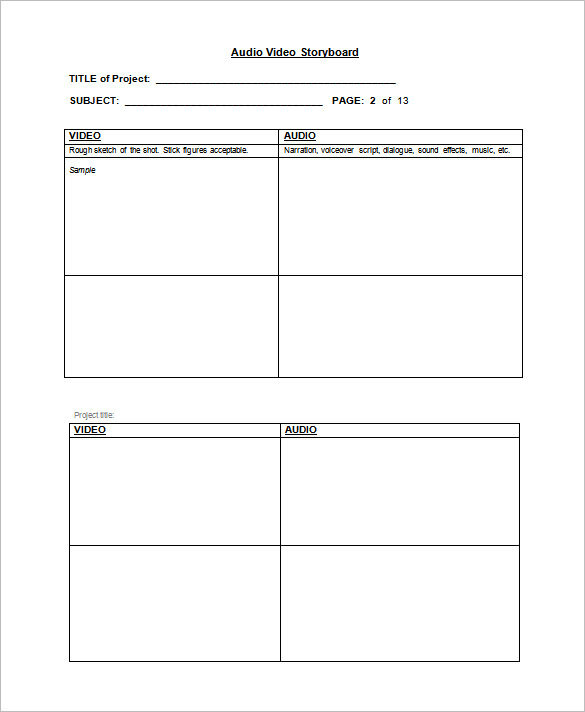 As mentioned above that person who is engaged in any creative project use these templates to make a storyboard. Usually, filmmakers, photographers, animation makers etc use these templates to enhance their movie making skills. 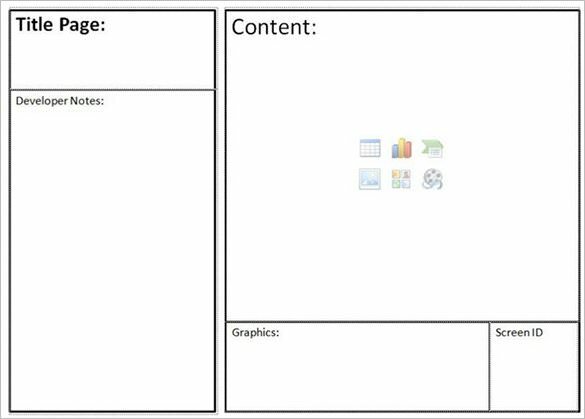 This page is loaded with multiple storyboard templates, available in various formats and layouts. Pick the right template as per your need or work requirement. Create effective movies, comics and animations easily now. In case if you are planning to make a video or entering the profession of movie making then the first thing that you need to learn is how to make a storyboard. When you have a properly made storyboard then it will be easier to approach and present your ideas to other people or clients. A storyboard is a graphical or written representation of how your video will be made. A properly made storyboard breakdown the entire video and showcase the important scenes and elaborate on how the scene will be like, how the people will behave in that moment and the respective actions in the various scenes. A storyboard is best when you want to tell a story through graphical or written representations. Use the samples shared here to see how a storyboard is made. It’s important to follow the right way to make a proper and effective storyboard. Save a time by simply downloading a template from this page. 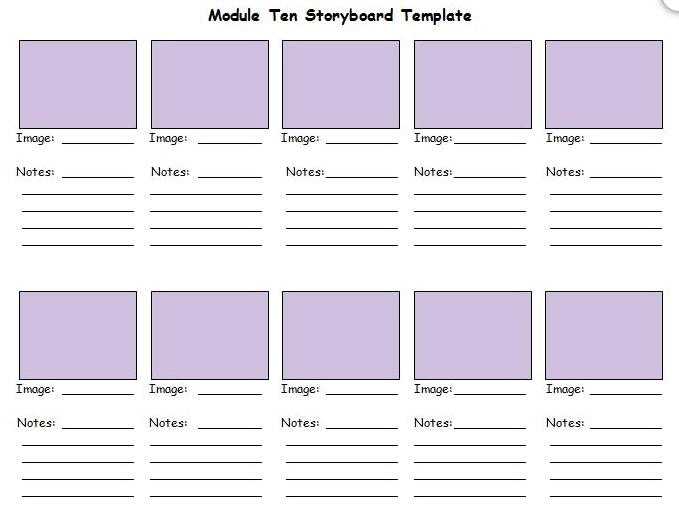 A template is considered a very handy tool for those who don’t know how to create a storyboard. 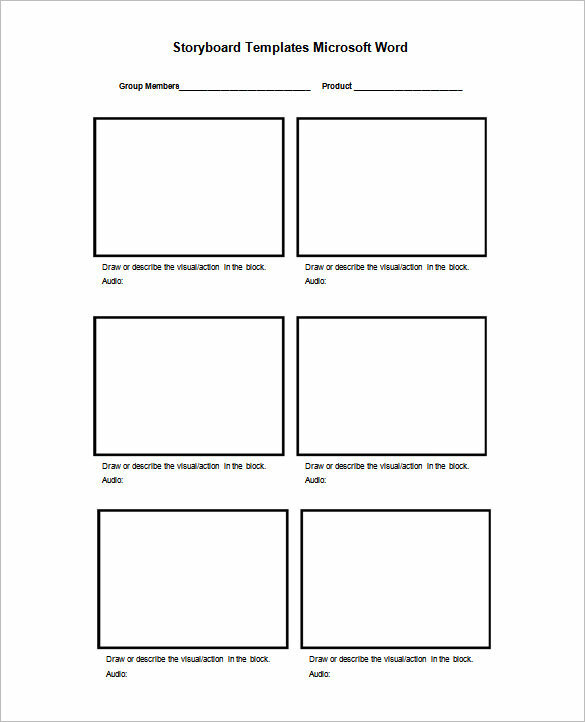 The purpose of sharing these storyboard templates is to let users get the best templates from one place only. Hopefully, you get what you were looking for. If yes, then why not share these templates with other people as well on social media platforms. Keep on checking this site for more and more useful templates in other categories, formats, and layouts.